"My favorite winter dish. Freezes wonderfully for quick dinners. 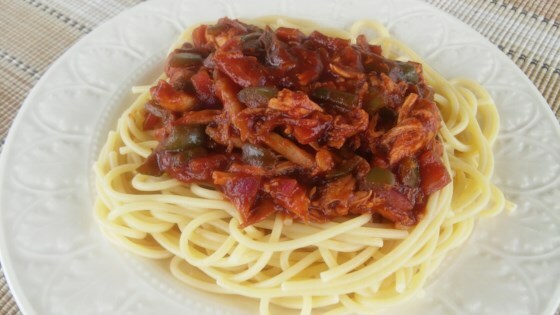 Almost a barbeque type sauce that makes chicken and noodles taste great." This is a tasty dish. Something everyone in the family will eat. Tasted like noodles in barbeque sauce.... not good. My husband and I loved this recipe!!! It had a lot of flavor and the right amount of spice. If you're looking to try something different, try this!! !